Interesting Facts About the TV Show "Happy Days"
For a decade, millions of Americans tuned into ABC on Tuesday nights to watch a Milwaukee family’s life from the 1950s to 1960s unfold, rather comedically. 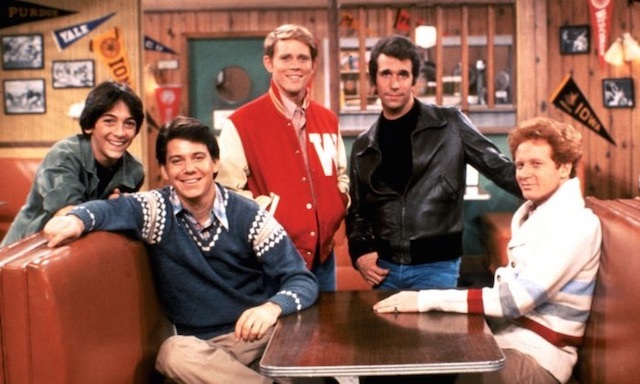 “Happy Days” premiered January 15, 1974, and lasted 255 episodes until September 24, 1984. The Happy Days cast: Fonzie, Ralph Malph, Howard Cunningham, Joanie Cunningham, Potsie Weber, Marion Cunningham, and Richie Cunningham. 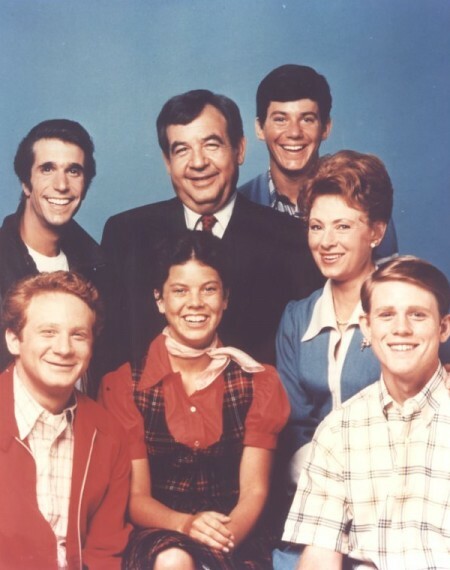 The show featured the Cunninghams, consisting of father Howard (Tom Bosley), mother Marion (Marion Ross), naive teen Richie (Ron Howard), and daughter Joanie (Erin Moran). Richie’s friends—Potsie Weber (Anson Williams), Ralph Malph (Donnie Most) and Arthur Fonzarelli (Henry Winkler) were very much a part of the family—ultimately saving the show from cancellation. 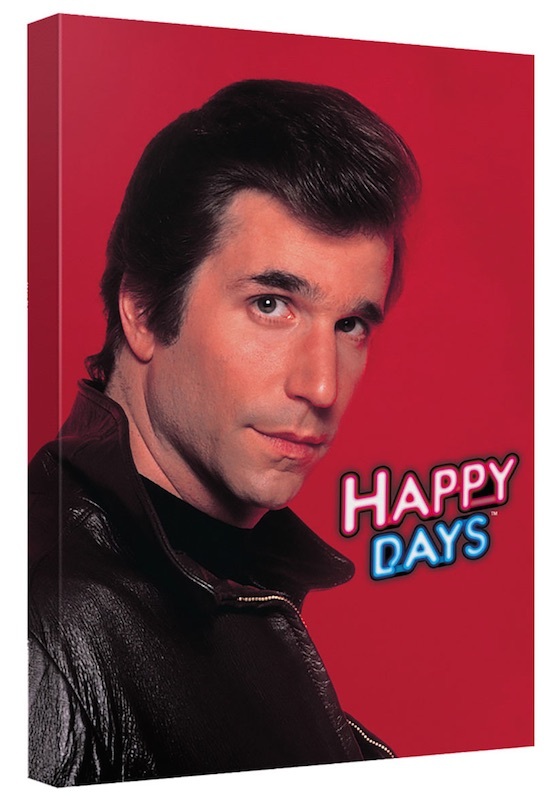 That’s right, ratings for “Happy Days” weren’t so great after the first season and execs considered canning the show, until Fonzie’s character gained popularity with viewers, thus carrying it for several years after. Potsie Weber, Fonzie, Richie Cunningham and Ralph Malph outside Arnold’s. The half-hour show featured many tales of morality, and sparked trademark slogan’s like Fonzie’s “Ayyyy” and Ralph Malph’s “I still got it!”. But there were a good many goofs in production and interesting backstories to this American series. How many of these are a surprise to you? 1. There were originally three Cunningham children. 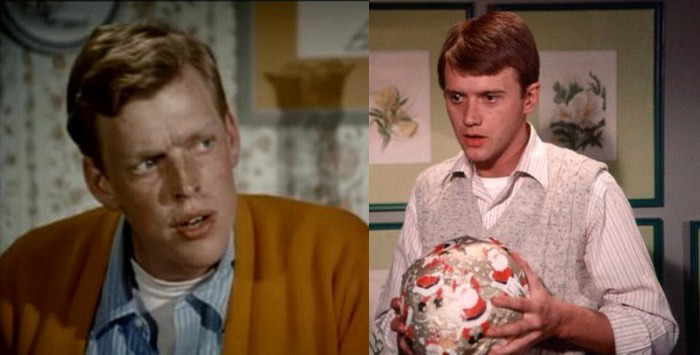 Not only did Chuck Cunningham disappear, he was portrayed by two different actors. Gavan O’Herlihy (left) played the role for 9 episodes, and Randolph Roberts (right) played Chuck twice before heading upstairs, never to be seen again. 2. “Happy Days” was a spinoff of “Love, American Style,” a television comedy that ran from 1969 to 1974. 3. The episode called “The Other Guy” (season 9) takes place in 1962. At one point Marion Cunningham mentions “The Munsters” television show, which didn’t debut until 1964. 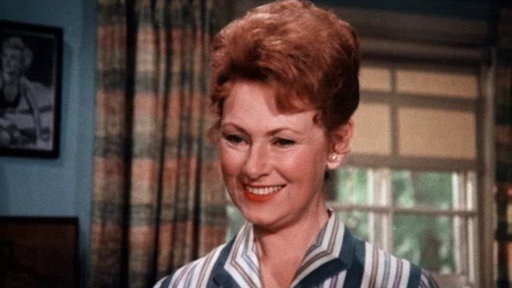 Marion Cunningham played by Marion Ross. 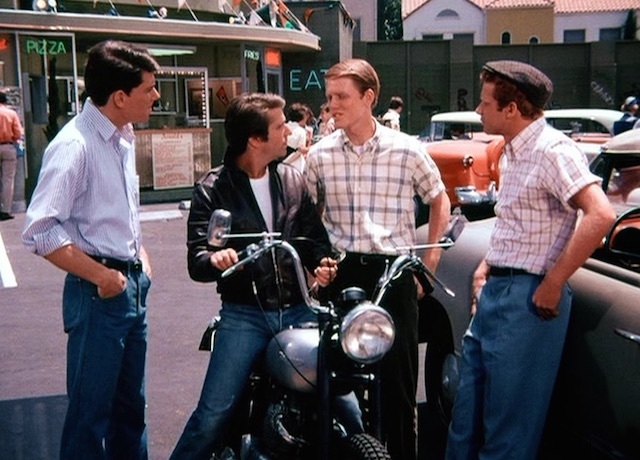 The pilot for “Happy Days” was originally intended as a one-episode teleplay for the anthology romance-comedy series, “Love, American Style.” The episode’s name was later changed to “Love and the Happy Days” and led to the syndicated television show as we know it. 5. The pinball machine in Arnold’s Drive-In was from a later time period than the TV show was set in. 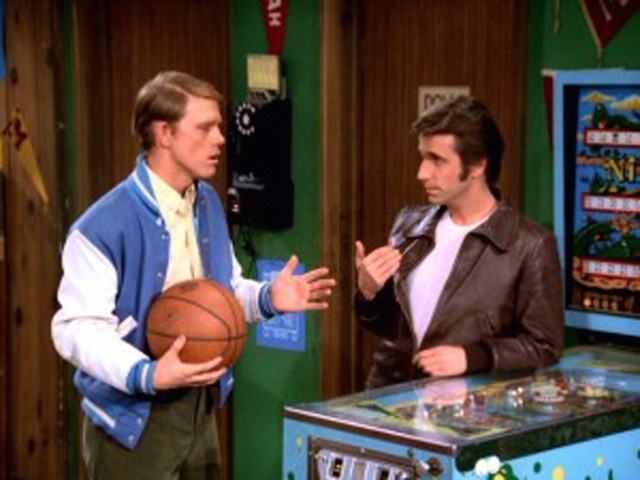 Richie Cunningham and Fonzie with the Nip-It pinball machine. The pinball machine in Arnold’s was a Nip-It, which wasn’t manufactured by Bally until 1973. 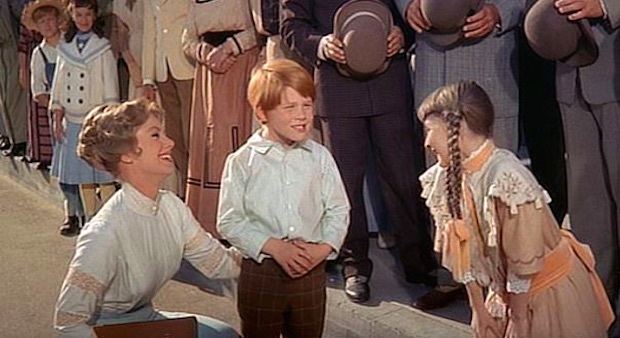 In the episode where the Cunninghams are coming out of a theater having watched “The Music Man,” Mrs. C says that the little boy in the movie looks just like Richie. Mr. C says his wife is being silly. However, Ron Howard did play young Winthrop Paroo in the film when he was eight years old. 7. Fonzie never once combed his hair during the television show. 8. 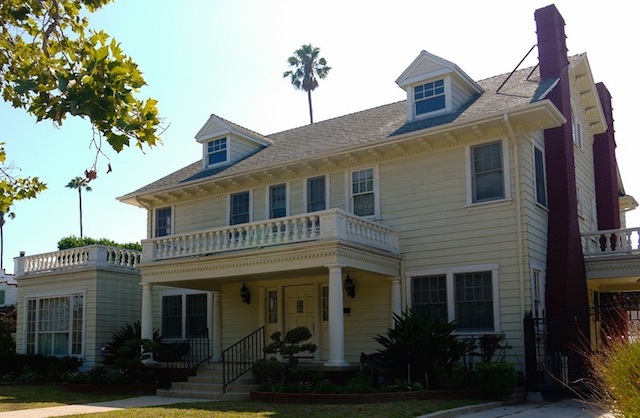 Exterior shots of the Cunningham house were shot at a residence in Los Angeles. The house used for exterior shots of the Cunningham home is located in Los Angeles, CA 90004. The 3,900 square-foot house was built in 1923 and was remodeled in 1933. Today it’s a private residence. Chachi, Potsie, Richie, Fonzie and Ralph at Arnold’s. We love the 50s here at RetroPlanet.com and “Happy Days” was a terrific way to relive them. What were your favorite moments from this great TV show?